"I told him he could let me have the stuff back or I'd call the police and keep running after him. He went a reasonable distance but when he stopped and looked back I said 'we can do this all day' so he threw the bag at me and I let him go." - UK 47-year-old marathoner Chris Read talking about how he ran a thief down and returned $376 worth of stolen merchandise to a store. Read is a veteran runner who has run 101 marathons. Lance Armstrong says he's broke and may file BK! Oregon wins NCAA's Calling it right now? 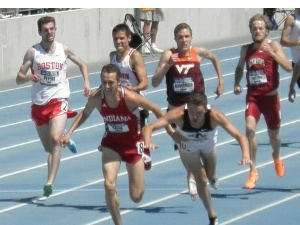 Ex-collegiate runner... how do you find runners at your ability to run with? The IAAF Is Scrapping The A/B Qualifying Process And Moving To One Single Standard For Future World Championships & Olympics The new standards will aim to fill 75% of the field for each event and the rest of the field will come off the World descending order list.. This means they should be easier than the current "A." T&F News Editor Looks At The Possible Consequences Of A New IAAF Qualifying System And How It Will Affect Choosing Team USA He thinks choosing the US team will be even more complicated now than before and thinks the US Trials should be moved to a later date than usual. 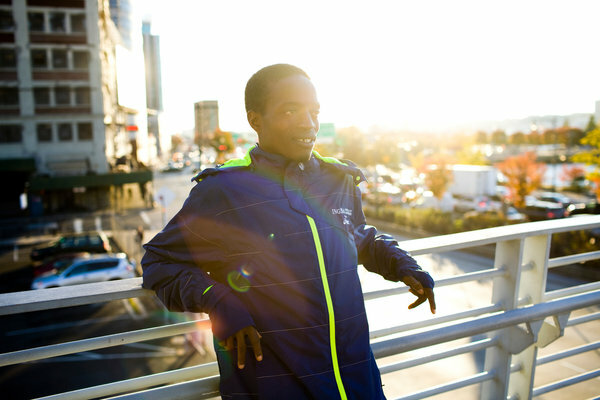 Recommended Read: Sierra Leone's Idrissa Kargbo Tries To Break The West African Sprinting Trend By Becoming An Elite Marathoner Kargbo is his country's top marathoner and has run 2:35 under the tutelage of a sprint coach while living in poverty. He was hoping for big things in NYC, but ended up going to the hospital after running a disappointing 2:58. Mo Farah Mentions In His Autobiography He Feels Bad For "The Poor Guy" Who Ended Up With His Old Cell Number Farah: "Every time I do well in a race or I'm in the spotlight, this poor guy's phone explodes with phone calls and text messages." 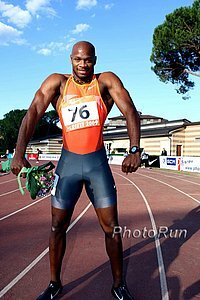 Duane Solomon Talks About How Making The 2012 Olympics Was A Huge Turning Point In His Career Of making the team by just 0.25 seconds he said, "It was like a big burden off my shoulders. ... I felt like, if I hadn't made the team that year, then I was going to have to re-evaluate my career ... whether I was going to stay in track and field." 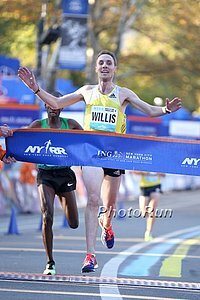 After Pacing 43-Year-Old Italian To A 2:33 Finish At NYC, Nick Willis Says He'd Like To Run A "Proper One" After 2016 He ran the first 18 miles of NYC the day after winning the NYRR Dash to the Finish Line 5K. UK Marathoner Runs Down Thief And Returns $376 Worth Of Stolen Goods To Store Chris Read (who has run 101 marathons) chased down the thief fleeing the store and said, "I told him he could let me have the stuff back or I'd call the police and keep running after him. ... I said 'we can do this all day.'" 5-Year-Old Completes Half Marathon In 2:22:25 This is 40 minutes faster than the only other five-year-old known to have finished a half marathon. 14-Year-Old Girl Becomes The Youngest Person To Finish A Marathon On All 7 Continents Winter Vinecki finished the feat with the Athens Classic Marathon in 4:03:53 (her PR is 3:45). Through her charity, she's raised almost a million dollars for cancer research to honor her late father. Interesting: Good Article On Runner-Up Buzunesh Deba And Her Training Partner Tigist Tufa, Who Ran Together Out Front In NYC At One Point With A 3-Minute Lead A lot of great info on the two training partners, including their race strategy, training and fact that after only one day off, Deba started running 7-8 miles a day taking the first steps towards her spring goal to win the Boston Marathon. Post-Race Blog From Top American At NYC Ryan Vail Which Includes His Full 14-Week Training Buildup Vail said, "I believe races like this help build character and mental toughness ... I definitely gave it all I had." 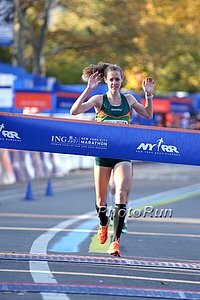 NYRR Post-Race Article On Top NYC American Woman Adriana Nelson, Who Came To The US From Romania 13 Years Ago To Run For UTEP "I'm so humbled to be first American. 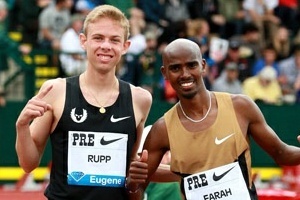 The fact that I was the first USA runner made my day." The Sensation That Is Sweeping The Country And Possibly The Most Read Article In LRC History: Over 5,000 6,000 10,000 Facebook Likes: LRC The Time Of My Life: Staten Island Native Mike Cassidy Shares His Experience Finishing The NYC Marathon Hand-In-Hand With His Hero Meb Keflezighi In the span of one hour in NYC, Cassidy went from almost dropping out at 10 miles to finishing with the "highest honor of [his] career." A definite recommended read. LRC Week That Was 11/11/13: Running to Drink, the Richie Incognito rules for track and field, and Olympic gold at what cost? This wasn't your traditional week on LetsRun.com: The World Indoor Champs may be coming to the USA, beer could actually be a good recovery drink, a 5 yr old runs a half-marathon, and an LRC post got liked 10,000+ times on facebook. We've got it all covered in our week in review. *BBC Writer Defends Jamaica Saying Their Number Of Positive Tests Aren't "Completely Off The Scale" Although, he acknowledges that JADCO needs to improve their testing as they don’t do any blood tests or test for EPO. Kenyan Government Finally Names Anti-Doping Task Force Led By Law Professor To Investigate Recent Doping Cases The 12-person team was announced only 1-day before the Wada Conference in South Africa where Kenya’s inaction is a key topic for discussion. Interesting: Irish Olympic Hurdler Derval O’Rourke Talks About The Inconvenient And Embarrassing Consequences Of Out Of Competition Testing, But Praises Ireland Anti-Doping For Thoroughness She also criticizes other countries including Jamaican and even the UK and France for inferior out of competition testing. UK Anti-Doping Budge Cut Leads To Fears Over Fight Against Drug Cheats UKAD will be cutting their budget by 10%. *UK Athletics Chairman Ed Warner: "This is a very dangerous moment to be cutting [UKAD's] funding given the growing complexity of the fight against doping." Cancer Specialist Outlines New Method To Detect Past Doping Claiming That Substances Can "Leave A Footprint In Genetic Memory That Can Be Detected Five Years Later" Some of this info should discourage athletes from doping as it talks about how EPO can basically act as miracle grow for cancerous tumors. What Is The Best Way To Breathe While Running? This doctor says that synchronizing body movement with breathing patterns can lead to better performance. Good Read: A Season Inside Oklahoma State XC Part 3: "Doubt Comes to Stillwater after the Big 12 Championships" The #3-ranked Cowboys have won three of the last four NCAA titles, but getting a fourth will depend on the performance of their 5th man. Study Says That A Moderate Amount Of Beer After Exercise Doesn't Adversely Affect An Athlete's Recovery Sorry, college kids, moderate means 1 or 2 drinks. Alan Webb Dominates Oregon XC Race By More Than A Minute He ran the 8k in Portland in 24:50. 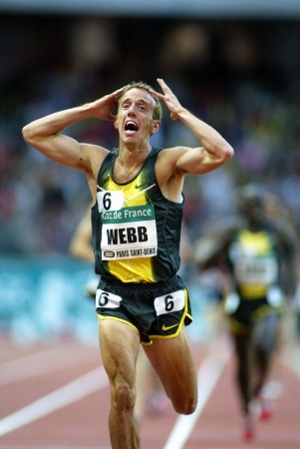 On the women's side, Webb's wife Julia beat Kara Goucher by 16 seconds as they were 4th and 5th. Junior Alexa Efraimson Breaks CR With 17:01 To Win Washington's Class 4A State XC Title By Almost A Minute Efraimson is the HSer who won a college meet over Emma Bates earlier in the year. MB: New England HS XC Champs - 5 guys break Ben True's Course Record! Trevor Hopper won in 15:08 as the first 5 were all sub-15:20. 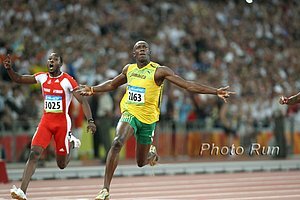 Wow: Tom Cruise Compares Acting To Olympic Training "A sprinter for the Olympics, they only have to run two races a day. When I'm shooting, I could potentially have to run 30, 40 races a day, day after day." 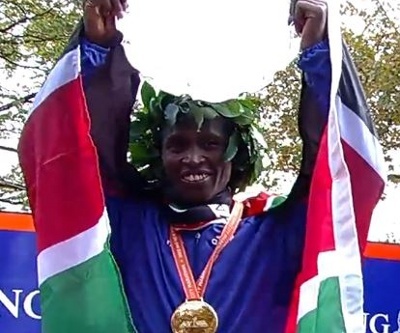 Dennis Kimetto Says He Missed An Opportunity At The WR In Chicago, Where He Ran 2:03:45 Kimetto: "To be honest, I was not aware I was in world record pace since no one told us and there was no lead car ahead of us. ... at the end of the race, I had so much energy and when I looked at the clock at the end, I knew a huge chance had passed." .US National Road Racing Championships Will Have A Live Webcast On Sunday Starting 7AM ET Tim Hutchings and Carrie Tollefson will be commentating. Nov. 23rd: Japanese Federation Releases Entry Lists For The International Chiba Ekiden Sheila Reid and Reid Coolsaet lead the Canadian team. *MB: U.S Team For Chiba Ekiden? The team includes Will Leer and Girma Mecheso. IAAF Q&A With Brittney Reese Who Says She Relaxes On Her Time Off Playing Video Games Reese: "I love to play Grand Theft Auto and NBA2K14." Future Of Atlanta 1996 Olympic Stadium Put In Doubt After MLB's Braves Announced Their Departure The stadium where Michael Johnson set WRs in the 100 and 200 at the 1996 Games could be knocked down. The 2014 Sochi Olympics Will Not Be Tweeted, Vined, Or Instagrammed ... Or Maybe They Will? Mixed information on whether journalists will be allowed to use social media at the 2014 Winter Games in Russia. Preview Of Sunday's Big Sur Half Marathon, Which Has A Field With 7 Sub-1:03 Men In It Field led by Nelson Oyugi (1:01:59), Aissa Dghoughi (1:01:27) and Mohamed Fadil (1:01:07), along with Americans Ian Burrell (1:02:51), Fernando Cabada, Ben Bruce and Sergio Reyes. Molly Pritz (1:10:45) leads the women's field. November 30th: Preview Of Men's Canadian Cross-Country Championships Kelly Wiebe leads field after finishing 3rd to Cam Levins and Mohammed Ahmed last year. *Women's Preview Megan Brown will defend her 2012 title. One Of Jesse Owen's Famous 1936 Berlin Gold Medals To Be Auctioned Off It’s expected to go for around $1 million.